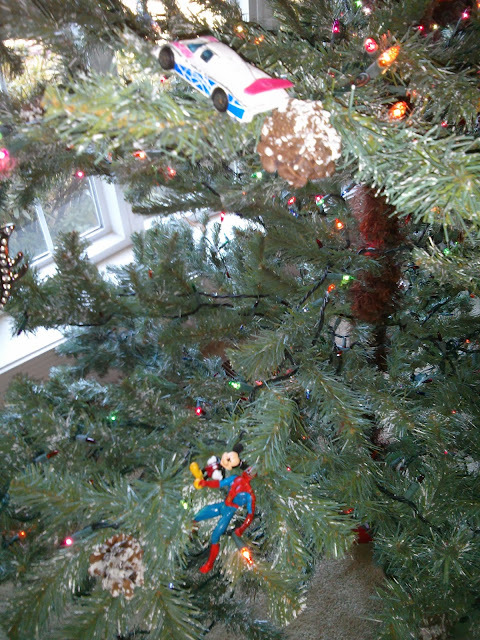 Yesterday we set the Christmas tree up, but I hadn't found the ornaments in the attic yet. The girls were so excited. Malea kept telling us "Thank you so much! Thank you so much!" and giving us hugs. It is amazing how such simple things make their day. (I think I need to remember this lesson much more often in my own attitude about day to day life.) Last night as I was on my way to bed, I unplugged the Christmas lights and noticed that the girls had gone ahead and decorated the tree with their toys. 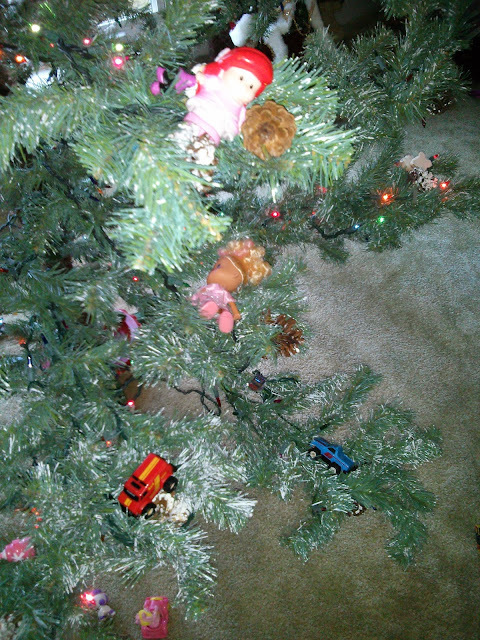 The entire bottom half of the tree was covered with princesses, dolls, cars, and puppies. Even Superman and Mickey were there. They were so proud of their decorating job this morning as they showed it off to Daddy.